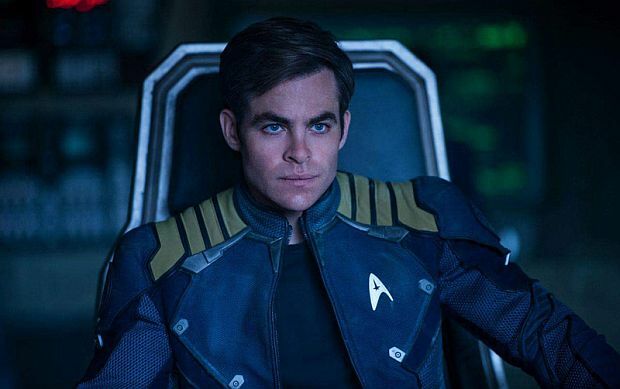 Chris Pine as Captain James T. Kirk in Star Trek Beyond. 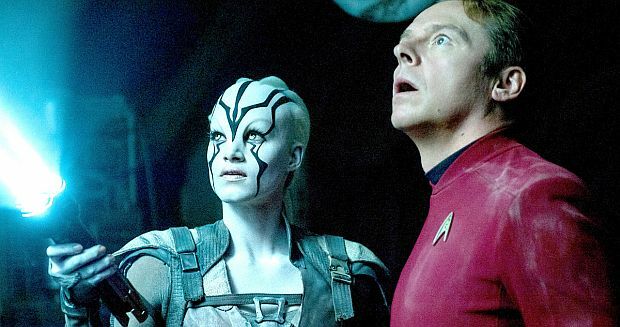 It may seem strange to say, but Star Trek Beyond is sort of the movie we need right now. In a month that has seen more atrocities committed than most of us can stomach, and the needless shooting of yet another black citizen in the U.S. just this week (and then the trailer, that almost felt like a response, for a Marvel Netflix series about an invincible black man), it’s encouraging to see that even our summer blockbusters have the good taste to be about unity, harmony, and hope. Even in the guise of fluffy escapism, Beyond is one of the pieces of entertainment out there right now that helps us address the problems we’re battling in the real world – the problems that prompted Roddenberry to create the brand in the first place. In that sense, Beyond feels the most like real Star Trek of any of these "nuTrek" films – and that also makes it the best of them, too. Gone is J.J. Abrams, who, despite his talents, gradually steered the Enterprise’s first two rebooted efforts into an asteroid field of sloppy writing, exaggerated characterization, and brainless action. He’s replaced by Justin Lin, late of the Fast & Furious franchise, and what’s more, the villainous duo of Alex Kurtzman and Roberto Orci have been – praise Nimoy – tossed out on the street, off to ruin another franchise with their special brand of snarky, idiotic screenwriting. They’ve been replaced by screenwriter Doug Yung and actor (slash accomplished writer) Simon Pegg, who returns not only as Chief Engineer Montgomery Scott but as a source of pure inspiration for Beyond’s new approach to the franchise. He brings intelligence, reserve, warm and familiar characterization, and a great emotional clarity to these hipster millennial versions of the Enterprise crew. It’s Lin’s job to bring the excitement and energy and fun, and he doesn’t disappoint. Beyond is a swashbuckling summer popcorn-cruncher, to be sure, but it feels more like an elongated (and particularly exciting) episode of the Original Series than anything else. Sofia Boutella and Simon Pegg in Star Trek Beyond. Kirk (Chris Pine) no longer rubbernecks at coeds, and doesn’t launch himself blindly into conflict or danger. Pegg’s script (and Lin’s direction) allow him to tap into the self-controlled class that Shatner once brought to the role, making Kirk less of a frat boy (who never felt natural as captain of the best starship in the Federation fleet), and more of the experienced, rational gentleman you’d expect to see in that chair. Defaulting to this more authoritative depiction, of course, allows for flashes of the old rakish hound dog to shine through – which is a much more mature and effective characterization, in my opinion. (It’s too bad it took nuKirk three films to get there, but I’m glad we arrived at the correct depiction in the end.) Spock (Zachary Quinto), likewise, is no longer an irritating pseudo-autistic robot man with a broiling cauldron of rage living inside him – he’s much closer to the more nuanced Nimoy version, whose stoic affect was merely a part of his belief system, and who could respond naturally with a wry smile or a sarcastic remark as the situation required. Good old "Bones" McCoy (Karl Urban) is really the only one who has failed to evolve, but that’s because he was damn near perfect right from the get-go in ’09, and the (correct) decision was made to just let Urban keep doing his thing. The plot forces the crew to separate, and this allows for some much-needed character interaction. Spock and Bones are finally allowed to bounce off of one another for extended periods of time, something the first two reboots never gave us, and our reward is the wonderful chemistry between Quinto and Urban. Slightly reduced screentime for the rest of the crew, namely Chekhov (Anton Yelchin, to whom the film is dedicated after his tragic passing just last month), Sulu (who we learn, with no fanfare, is gay), and, mercifully, Zoe Saldana’s Uhura (who finally cools it on the whole Spock romance thing), means that focus is kept mainly on the central trio – and Scotty, of course, whom Pegg assigns an entertaining (if slightly indulgent) sidequest. The dialogue contains just enough quip to maintain a lighthearted tone (and even sneaks in some Treknobabble a few times), but more than anything, simply feels natural. To me, with these characters slotting into place next to their more familiar incarnations, it feels like Beyond allows the franchise to officially, finally begin in earnest. Zachary Quinto as Spock in Star Trek Beyond. Beyond’s plot is, as with most episodes of TOS, hardly the point. An alien madman bent on destroying the Federation attacks the Enterprise and strands its crew, threatening to annihilate a peaceful colony with a bizarre superweapon. 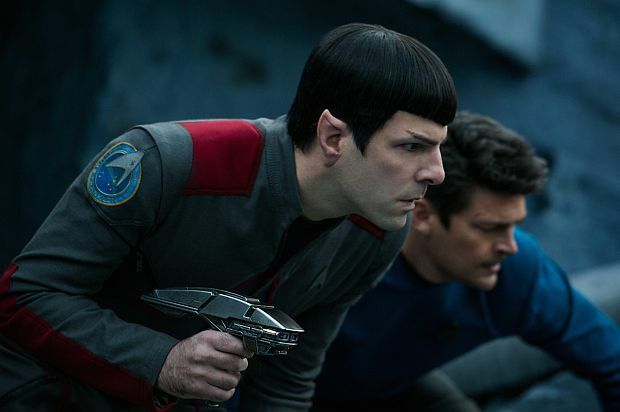 It’s almost exactly the plot of the loathsome Into Darkness, except this time it’s executed coherently and with a genuinely interesting moral dilemma at its core – which, again, has always been Star Trek’s beating heart. It’s a story about legacy: whether the past is something that can be carried along into the present, or if it’s better to leave it behind. Kirk, Spock, Idris Elba’s baddie Krall, and alien warrior Jaylah (Sofia Boutella), who becomes integral to the survival of the Enterprise crew, all benefit from this thematic through-line in their own individual ways. And the added subtext concerning inclusiveness, friendship, peace, and the costs they bring – not to mention the rewards they offer – simply serve to ripen the narrative flavour. Where Batman v Superman and its disgusting moral ineptitude made me feel horrible inside, as though I had eaten something rancid, Beyond made me glow from within. I felt happy, not only at the strong competence of Pegg’s writing and the fun and excitement of Lin’s direction (which is easily a match for J.J.’s, at least in this context), but because I felt at home, watching a movie that asked me hard questions and encouraged my faith that we might someday find the answers. Not everything in Beyond is a complete knockout. Krall feels like a half-finished villain, a product of an accelerated production schedule. Yelchin is given barely anything to do, here in his final Trek, and the reason for that is as unknowable as it is sad. And the familiarity of the plot leans a little closer towards triteness than I’m comfortable with. But the characters are what matter here, and Beyond’s Enterprise crew are representative of the best the Federation – and by extension, we – have to offer. They are excellent at their jobs, they are focused and professional, and they have nothing but love and respect for one another. They solve problems with diplomacy, not violence. They trust each other, and help each other achieve the impossible. They are the heroes we need right now – even if they don’t seem like the ones we deserve. There’s a touching moment at the end of the film, wrapped in a quick and gentle nod to the original crew and the cast that played them, that made me cry tears of sentimentality, commiseration, and joy. The passing of Yelchin and Nimoy, and the sense of family that Lin has created within this new crew despite these devastating losses, have redefined these reboots into more than just throwaway blockbusters. This family has taken their Trek into totally new territory. If the franchise can weather the storm of an unforgiving market, I’ll be so excited to see what they find there.